Made of Metal. 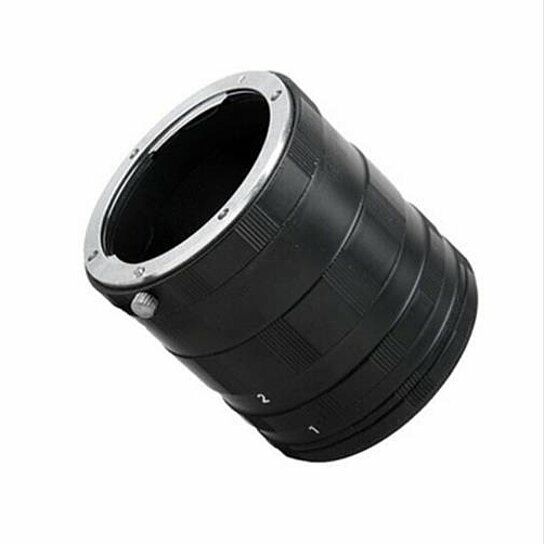 This Macro Extension Tube for Nikon F-mount digital cameras is composed of 3 extension tubes - 7mm, 14mm, 28mm and male and female adapters. Mount the tubes between lens and camera body to get your choice of macro ranges. It can be used in any combination or individually to obtain the exact magnification you need to capture the perfect macro shot. The longer the tube length the closer the lens can focus. Use this set with your normal lens and you will get the quality, which is as good as the original lens and the size, sharpness and versatility is perfect for the macro and close-up pictures. Note: There are no electrical contacts in the extension tubes. You need to use manual focus and manual exposure while shooting.Exposure has to be adjusted manually. Aperture control is not available if you use a lens which does not allow you to manually adjust the aperture (without an aperture ring).